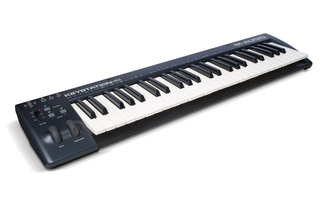 Keystation 88 II, 88-Key MIDI Keyboard from M-Audio in the Keystation series. M-Audio will introduce tomorrow at Musikmesse the updated 2014 edition of its Keystation MIDI keyboard controllers. 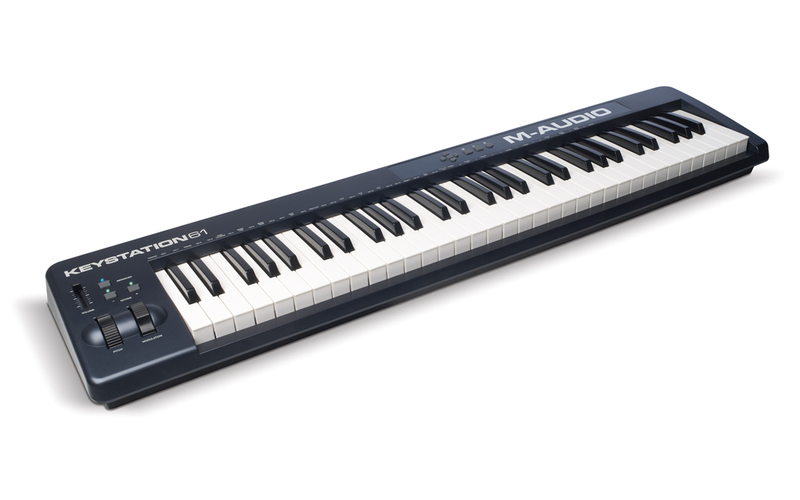 The four M-Audio Keystation Mini 32, 49, 61 and 88 keyboard controllers have been updated this year. You’ll find easily these new versions in stores thanks to their new grey/blue finish, but that’s not all. 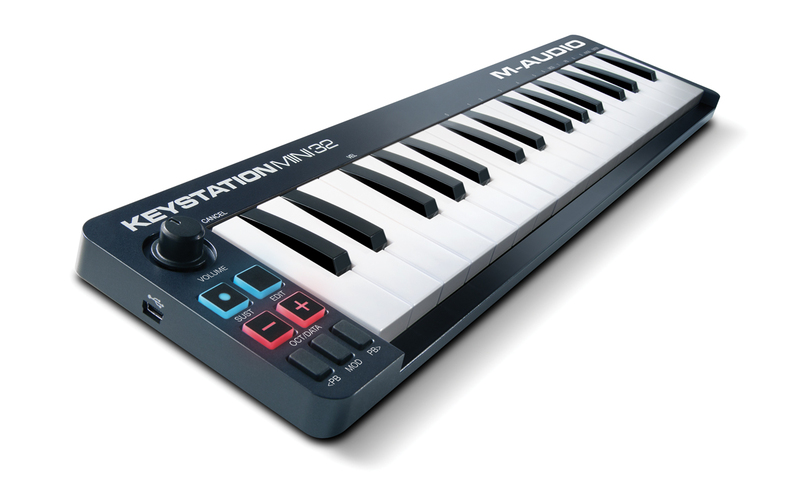 The Keystation Mini 32 includes velocity-sensitive synth-type keys, new octave transpose, sustain and modulation buttons. 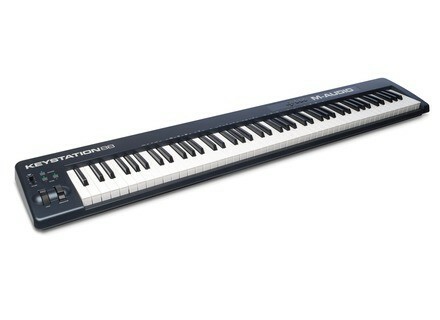 The Keystation 49, 61 and 88 feature standard keys, transport and directional controls, and a jack input for sustain pedal has been added. 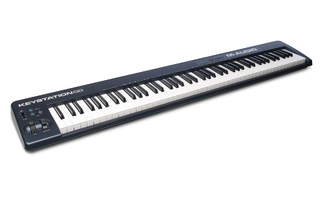 The three keyboards ship with a software suite that includes the SONiVOX Eighty-Eight Ensemble virtual piano and Ableton Live Lite DAW. The Keystation Mini 32 includes a AIR Music Tech Ignite music creation software. Note that all the Keystations are USB-powered and can be used with your iDevices via an Apple USB camera connection kit. [Musikmesse] Nektar completes its Impact series Californian Nektar adds to its Impact Series two new 25 and 61-key MIDI keyboard controllers, both will be introduced tomorrow at Musikmesse 2014.